A mother’s first role—in fact, the process that transitions her from woman to mother—is to make a life from scratch. But that’s only the beginning. The mothers we are proud to know and have met in our travels make ends meet, taking on jobs to support their families. They make meals out of what’s available, feeding their children before themselves. They make traditions that unite their families, passing down wisdom to future generations. They make painful sacrifices that, more often than not, go unnoticed. All of these pursuits serve a greater goal: to make a better life for their children. But in doing so, mothers also make the world a better place for the rest of us. Meet seven of them below, and see how they’re making a global difference. 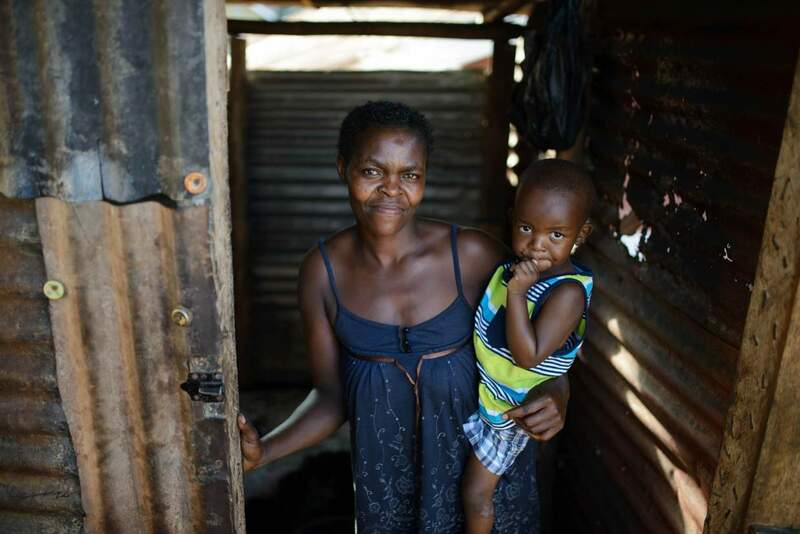 Lydia, a mother of two from Uganda, doesn't sleep in on Saturday mornings. Nor does she spend the early hours of the day playing with her children, or even tending to her own home. Instead, she cleans the local trenches—deep ruts along the pathways near her home, where dirty water and sewage run freely. This selfless act, however unglamorous, helps minimize the spread of illnesses prevalent in her community. Although she ensures that her boys regularly receive Vitamin Angels' vitamin A and deworming tablets to further protect their health, Lydia knows the health benefits of a clean environment. Even more than that, she’s willing to support them through manual labor in solitude. Fifteen: That’s the number of trips Gladis, a young mother we met on the remote shores of Lake Atitlan, Guatemala, makes each day to collect enough water for her family from the local well. It’s a losing battle, considering how contaminated the water is; her children, four-year-old Jasimin and ten-month-old Dilan, often fall ill as a result. But water is a necessity, no matter how dirty, so Gladis keeps on walking. Fortunately, the vitamins we provide make it a little easier for Gladis to keep her children healthy by improving their immunity to fight off illnesses, even if other resources aren’t readily available in her community. Drawing from her knowledge as an aspiring nurse, Jodi avoids processed foods and tries to serve plenty of fruits and vegetables—even though those staples are typically more expensive than ready-made, less nutritious meals. 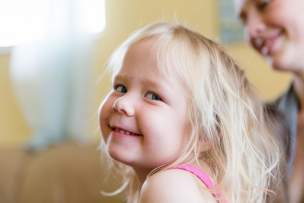 As she learns more about health and nutrition—especially in anticipation of the birth of her third child—she strives to pass down her knowledge to her children and instill positive, long-term habits. For Emely, the struggles that come with motherhood don't compare to its rewards. The mom of three, who we met in the Philippines last year, was happy to share that despite lacking access to prenatal multivitamins while pregnant, her children have all received vitamin A and deworming to support their health and growth. Since Emely and her husband are employed at the local mini-mart and in construction, respectively, attending to their children's needs can prove difficult. If any of their boys fall ill and require parental care, they lose valuable income and time at work. The climate in the area also puts them at risk of other unexpected problems; when we visited, they were still recovering from Typhoon Yolanda, which partially damaged their home and affected their water supply. Even so, Emely's love for her family softens the financial and environmental hardships that come their way. With support from our field partners in the area, she has more resources to ensure that her husband and children are safe and able to thrive. Florida and Russia are opposites in more ways than one. Aside from the contrasts in weather—Florida’s nickname is the Sunshine State, while Russia is notorious for its biting winter chill—differences in culture and tradition distinctly set the two regions apart. 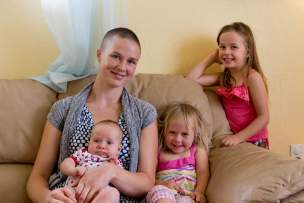 But for Maria, a 27-year-old mother of three, the opportunities in America were reason enough to leave her life in Russia and immigrate to the States with her husband and oldest daughter, who was only a toddler at the time. “Our family and friends are far away…[but] in Russia it’s very hard to live, and we want a better future for them [her children]…so they can have something more, and better education,” Maria shared with us. Any sense of homesickness is secondary to her desire to give her daughters the greatest chance at a prosperous life. 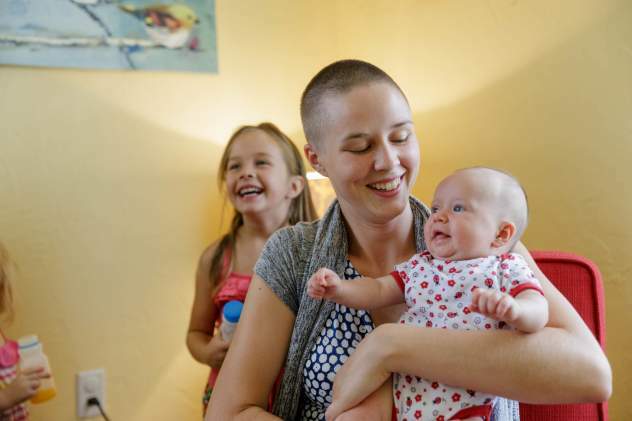 “I think every mom wants the best for her children,” she said. With the support of CareNet, our field partner in Bradenton, Florida, Maria received prenatal multivitamins while she was pregnant with her youngest daughter Maddie, thus providing a foundation for a brighter childhood. 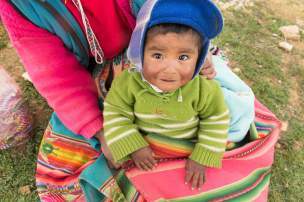 But until Maddie’s old enough to walk, run, and play with her older sisters, Maria’s relishing the precious time with her baby girl. Breastfeeding, in particular, brings her a special kind of joy. Juana starts her day at 6 a.m., caring for her children, the family animals, cooking, cleaning and preparing to make the rounds in her community. As a qhali (or health promoter), working in partnership with our field partner, DESEA Peru, she holds an esteemed position. Her peers rely on her for information and guidance on everything from water filtration to prenatal nutrition and breastfeeding. It’s a responsibility she doesn’t take lightly. 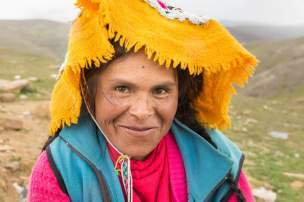 In the community, her respect has been hard-won: years ago, when we first met Juana, she had just been elected the first female president of Chaupimayo – in a vote open only to male citizens! 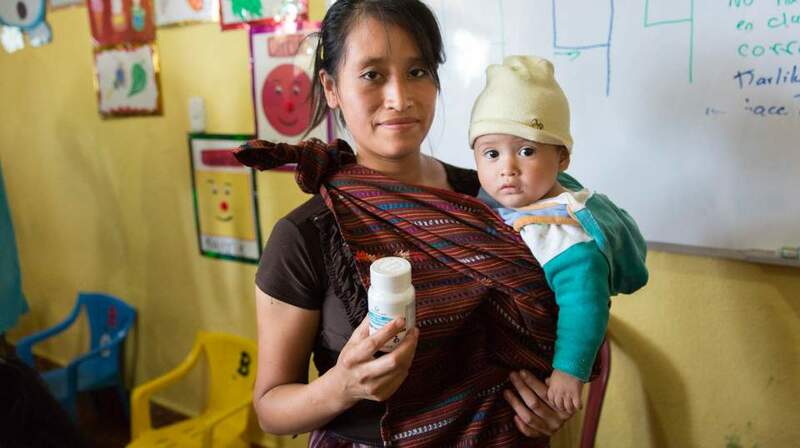 Juana leads by example, taking prenatal multivitamins provided by Vitamin Angels during her most recent pregnancies. The benefits are not only clear to her, but to her community, which has quietly observed this powerhouse over the years. Now, many readily follow in her footsteps, hoping for a healthier future for their children, too. Mary grinned widely watching her two-year-old daughter, Riehema, make faces at their visitors. 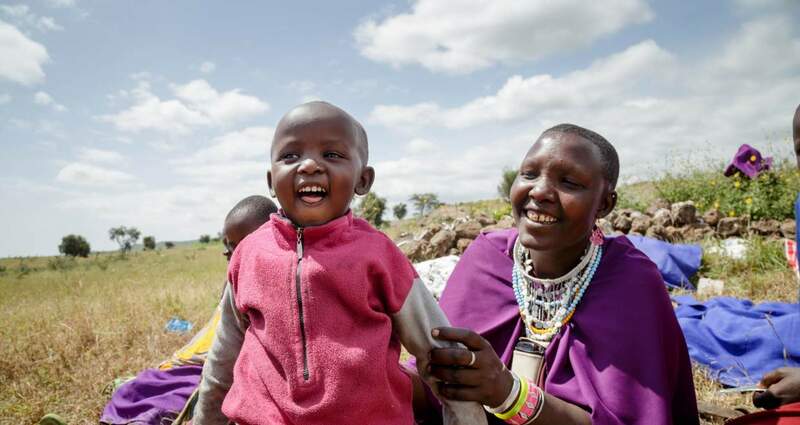 Draped in a violet cape and stunning hand-beaded necklaces, both traditional pieces worn by Maasai women, Mary’s brilliance was matched by her daughter’s zest for life. The youngest of her eight children, Mary is grateful that Riehema is healthy, thanks in part to the prenatal multivitamins she took during pregnancy. Aside from parenting, Mary also oversees six acres of land, on which she farms corn, red beans, and potatoes; she also hires and supervises a team to assist with harvesting and selling the crops. With so much to do on a daily basis, and the limited availability of nutrient-rich foods, prenatal multivitamins were an efficient and impactful resource for the mother-turned-entrepreneur. Despite her success as a business owner and farmer, Mary has dreams for her children to pursue higher education—a goal supported through the use of prenatal multivitamins. 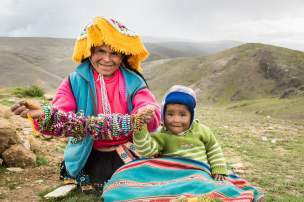 “It is important for my children to be healthy because as the parents, we are putting all our efforts into getting education for our children,” Mary said. These mothers' sacrifices are inspirational. We honor them by protecting their health in pregnancy. Help us reach mothers and save newborn lives on a global scale—donate today.